We have an interesting rumour for fans of the Transformers Movie Masterpiece line. Regarding the next two entries MPM-08 and MPM-09. This information comes from user NOTRAB on the Chinese social media site Weibo and must be taken with a pinch of salt. The identities of MPM-08 and MPM-09 is none other than 2007 Movie Megatron and 2007 Movie Jazz! According to the user, they are set to be official revealed at an event in China on the 26th January. 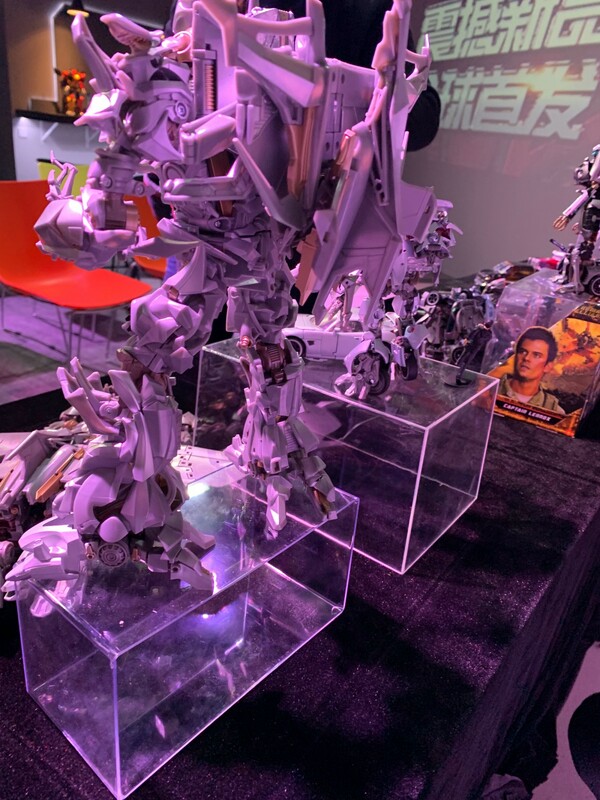 At this stage there is no other information about these rumoured figures, but we know what standard Hasbro and Takara Tomy will be aiming for with the previous releases in the Movie Masterpiece line. 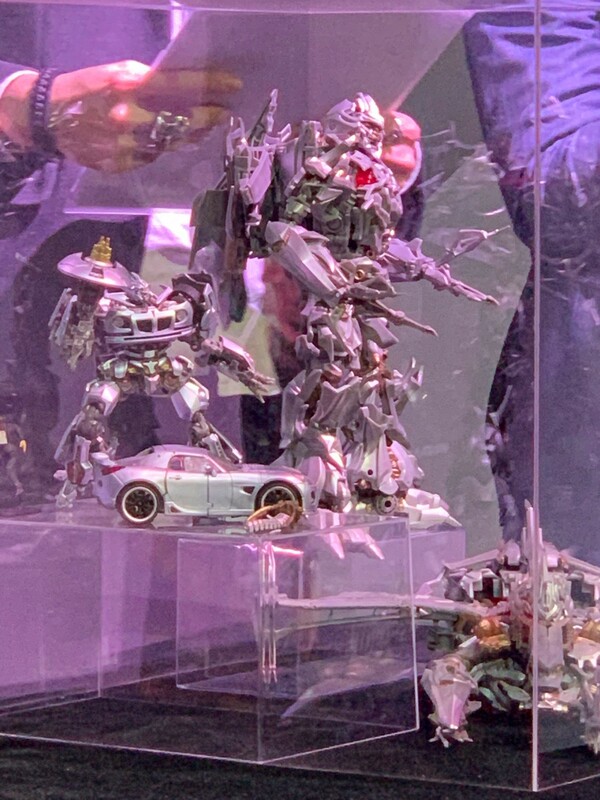 Hopefully this rumor of MPM Megatron and Jazz is true, and that they'll be able to re-enact their infamous and only scene together where Jazz is ripped in two by Megatron! We will provide updates to this story as we have them, false or not. Do you think this rumour is true? Would you want to add these to your collection? Let us know in the Energon Pub and stay tuned to Seibertron for all the latest news and reviews! 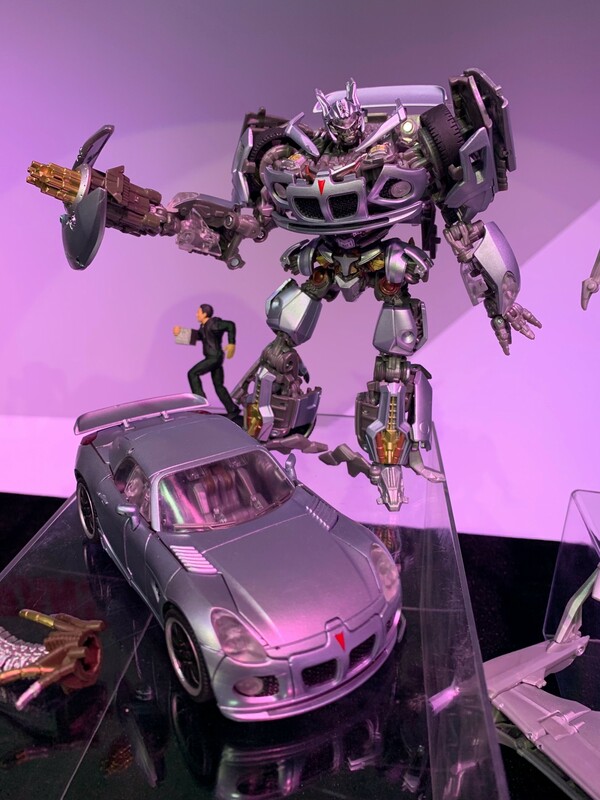 While I'm super excited for a MPM Jazz, that Megatron design can bugger right off. In fact, if that design disappeared an was never seen again, I'd be happy. Jazz though, that is very awesome. 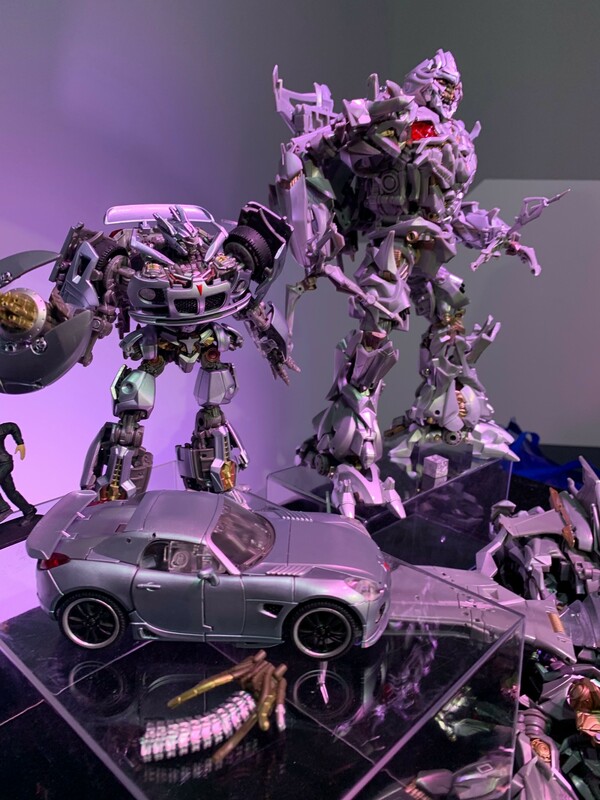 ZeroWolf wrote: Hopefully this rumor of MPM Megatron and Jazz is true, and that they'll be able to re-enact their infamous and only scene together where Jazz is ripped in two by Megatron! Bring this up again, and y'all will face my WRATH. Very cool if true! Glad to see new characters represented, hopefully Ratchet and Blackout follow these. They can do another Starscream after that. YES!!! Ever since the Studio Series launched I've been waiting for a 2007 "jet" Megatron to complete my set. When SS 34 was revealed to be the "hobo version" I was disappointed. If this turns out to be true then I'll definitely be picking this one up. Unless Hasbro releases a SS version. D-Maximal_Primal wrote: Bring this up again, and y'all will face my WRATH. 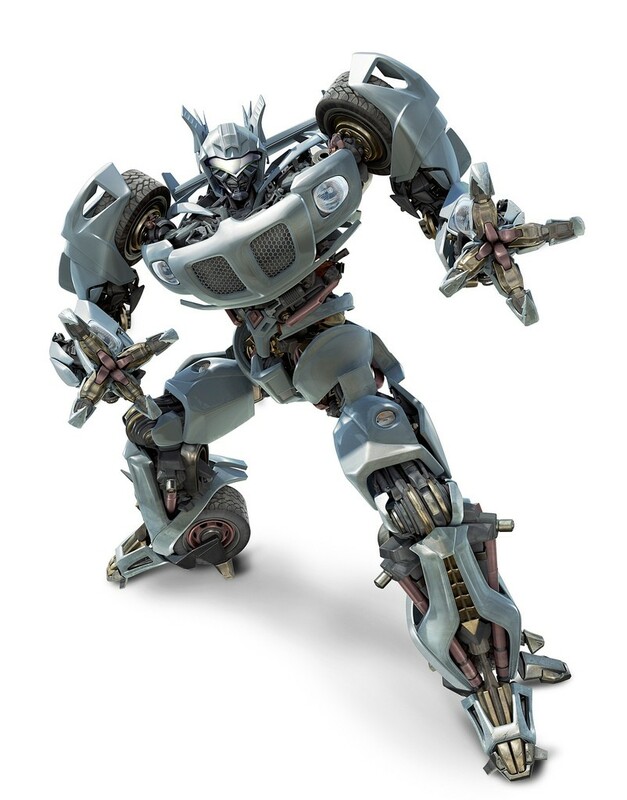 Now there's a character who should have featured in Bumblebee. Movie Jazz is awesome and its nice it receives a Masterpiece. 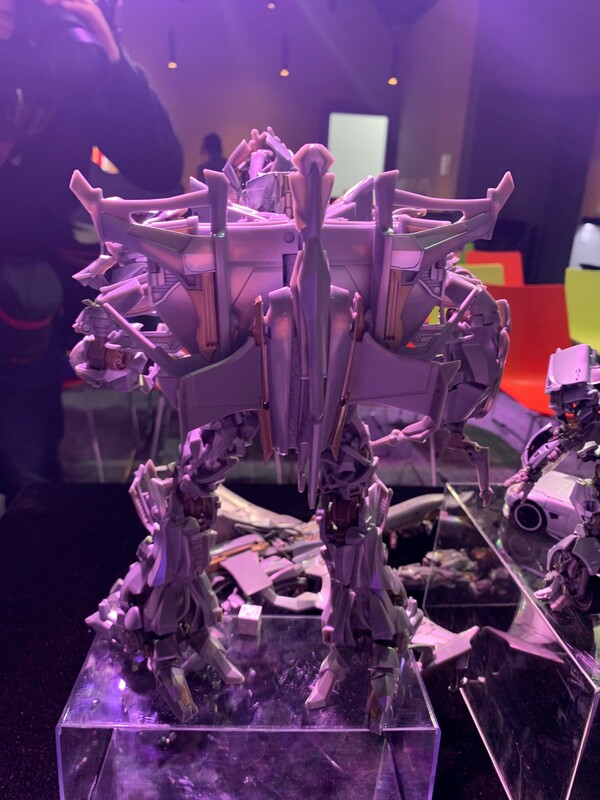 Megatron 2007 design deserves another chance,this may be the figure we were waiting that does it justice. 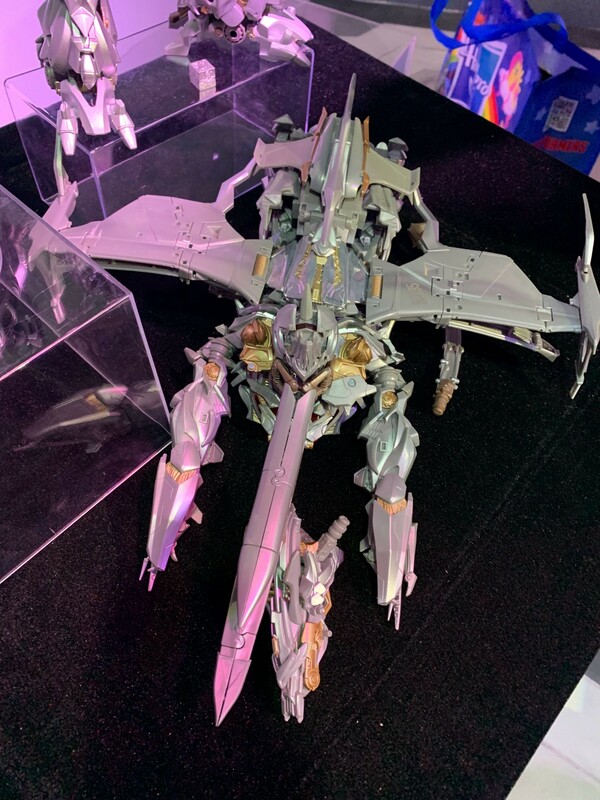 Just like studio series made more people like Starscream because it was a good toy,something on same scale or even better happens. I'm confused. I thought I saw MPM 2007 Megatron already yesterday. 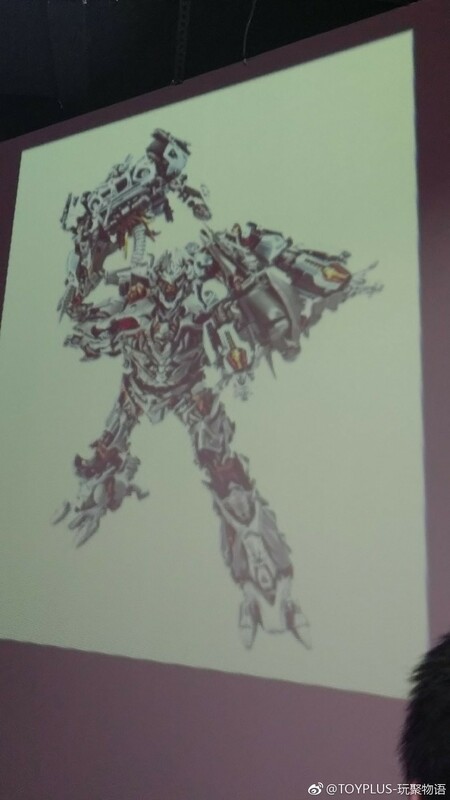 Unless that wasn't what I saw but maybe a new third party figure? It looked pretty awesome though. I know a lot of young people got into Transformers with the 2007 live action movie. But what the hell man, that Megatron doesn't look like a Transformer. Transformers Bay are just action movies with alien robots with a Transformers sticker slapped on it with some names and some mild references. 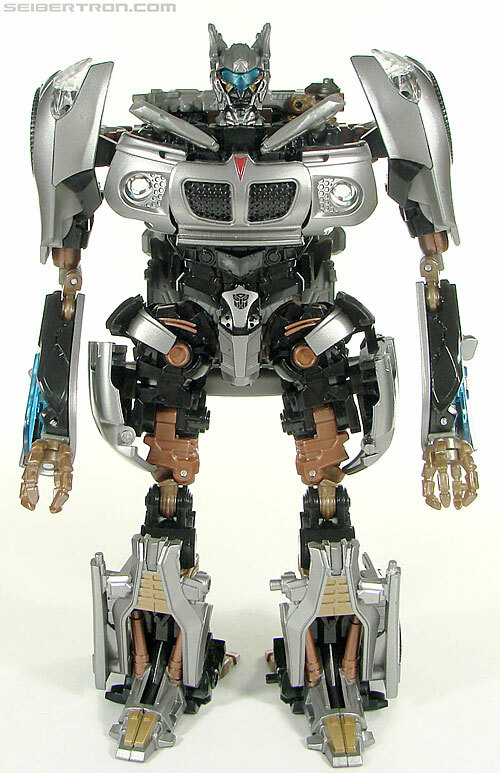 Megatron looks cool as an alien robot. He's not a Transformer and he's not Megatron. The first Leader toy was horrible, couldn't stand and the colors my god. I hope they focus on the Bumblebee movie from now on studio series wise. I am looking forward to that combiner called Devastator, I like his colors and design (not how he was handled as a character in the movie) and again he's not Devastator. But he's a cool looking gorilla combiner. Oh, shaddap. IMO the only major aspect the movies are lacking is the Autobots providing disaster relief. If this true then this will be the first time Jazz and masterpiece become one. noctorro wrote: I know a lot of young people got into Transformers with the 2007 live action movie. I grew up in the 80s with the original G1 but I far prefer the 2007-2017 movieverse. Transformers began in 1984 as a reuse of different japanese toylines (that didn't even scale with each other and led to such idiotic things as Megatron being a handgun against Optimus who is a truck) repurposed as alien robots with the then new Transformers 'sticker' slapped on it (wonder if the japanese fans of those original toylines made such a fuss...hard to tell without the internet back then). Yes he does. Yes he is and again he is. It was a fun toy, it could stand and the colours were alright. I really don't. 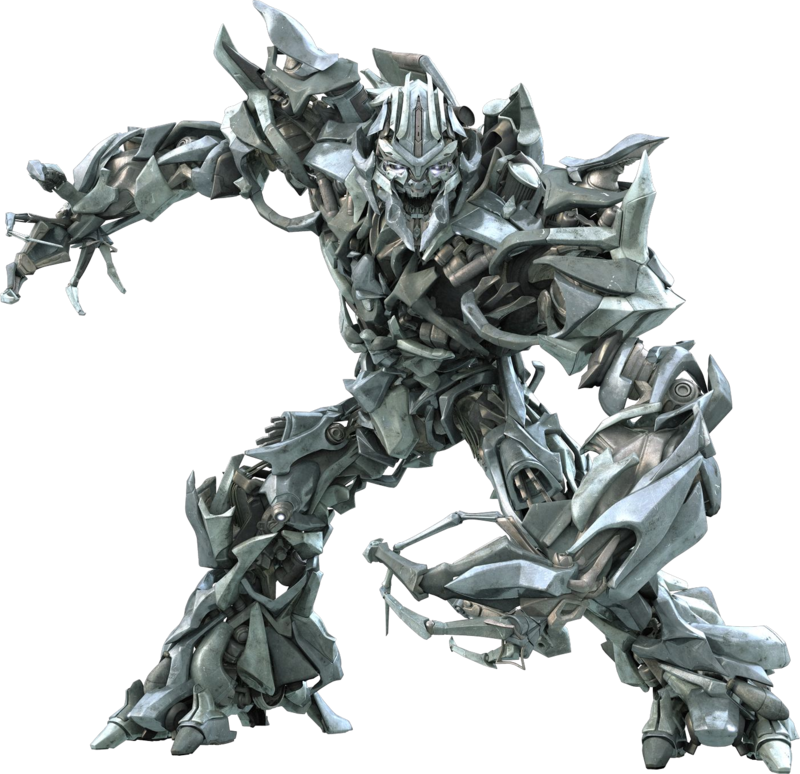 Also if that movie is indeed in some kinda messed up continuity with the Bay directed movies then 2007 Megatron is the Megatron in that (still frozen). Which of course doesn't make a lot of sense with such different aesthetics but that's just one of many continuity issues that film has made. 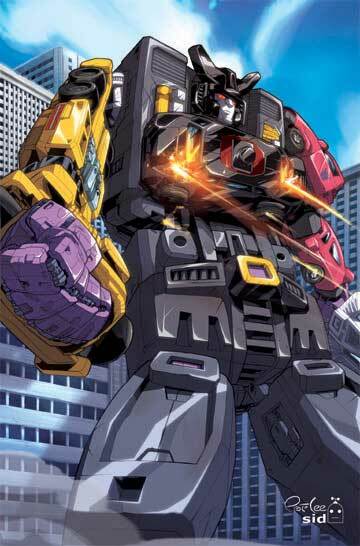 Yes that is Devastator. Not 'your' Devastator but it is a Devastator. But yeah he's a cool looking gorilla combiner too and certainly makes a lot more logical sense than G1 Devs in many ways (colour scheme and posture due to the huge mass of a crapload of metal being obvious). I'm still puzzled about the Megatron figure pic I have and not sure I can even uploaded since the tweet I got it from has been deleted. I'm personally a multifan, loving many series including (unlike you) the G1 cartoon (though Cybertron is my absolute favorite). But I think those series should all be allowed to be themselves, and you make some very solid points. Regarding ROTF Devastator, if anyone doesn't get why he's so unconventional as far as TF combiners on the whole go, he's made up of nine Constructicons (a number of which are huge vehicles) instead of six because the emphasis on a degree of realism restricted the use of mass-shifting so more components were needed to achieve the kaiju size (this was before any official writers spelled out a justification for the Mario Super Mushroom Effect combining had in classic G1 fiction), and that same focus on realism led to him having a gorilla-like posture. 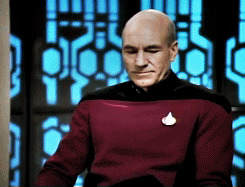 Who would have thought the guy named after a Fuzor would be such a GEEWUN whiner? YEah I'm no fan of mass-shifting at all as never made any sense to me (like why Astrotrain can apparently turn into a shuttle big enough for even G1 Devastator to combine inside of how come he doesn't turn into a robot bigger than Devastator and therefore make that combiner kinda redundant). Also Dreamwave and the stupidly gigantic cars of Menasor (it says signed by Pat Lee in the corner but I'm never sure which images were actually drawn by Pat Lee or not, the hack that he was). Frustrating cos Menasor was one combining team that made more sense than some of the others. A big truck and four cars is nice and simple unlike Bruticus who had jeep and shuttle as part of his components yet somehow ended up with even sized limbs. And Superion sounds fine at first (big concorde, four smaller planes) but should tower weigh above Menasor since planes are bigger than cars. Transformers is a whole mess of crazy crap so any attempts to rescale things to a more logical state are fine by me. Thanks by the way and yeah we've all got our likes and dislikes but saying one series isn't Transformers when it was clearly designed to be is a bit silly. We're forced to accept even creepy cringey Kiss Players is Transformers. Dude you're a legend. That is easily the most solid argument I've seen from anyone on this site in the longest time. Thank you for that. If you can please tell us what that Megatron looked like, because a lot of people would love to know. Me personally I'm far more interested in Masterpiece Jazz. He's one of the few characters to have never gotten a Masterpiece toy. I love movie Jazz. He really should've been in Bumblebee. Bumblebee is one of my favorite Transformers Movies, but I pray to PRIMUS they do not focus entirely on BumbleBee. Yeah the movie was awesome, but the cast that movie has was super small. There was only like 8 new designs. Part of what makes this line so special is the variety and taking that away would make things super boring. A mix of new stuff from a variety of different films is they way it needs to stay. If they focused only on Bumblebee the line would end in 2 short waves and we'd be left with an unfinished devastator and 2007 decepticon cast. These designs aren't everyones cup of tea, but having Hasbro focus on one movie where most of the cast didn't even have vehicle modes is just not a smart idea. 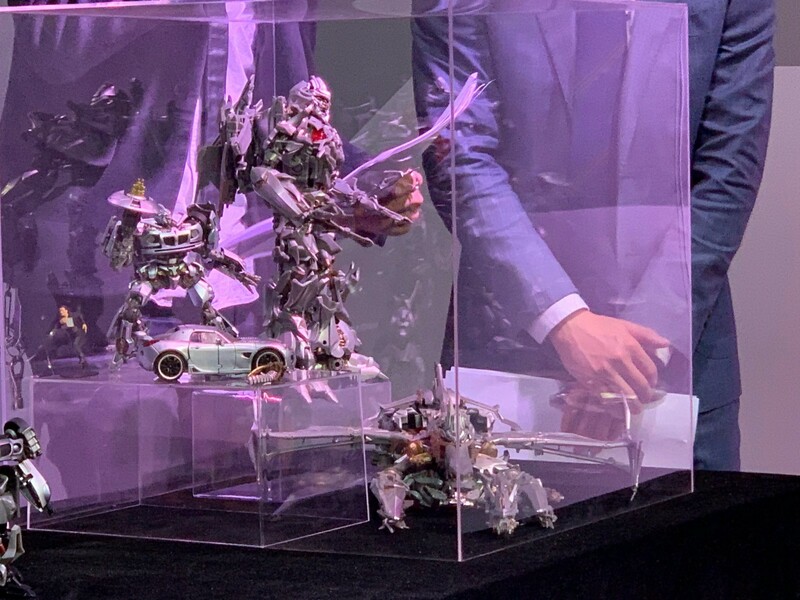 Also there's the WFC line which focuses on G1 designs and having them focus on bumblebee would cause an overload of G1 designs which is already somewhat happening with Cyberverse and WFC sharing shelf space. 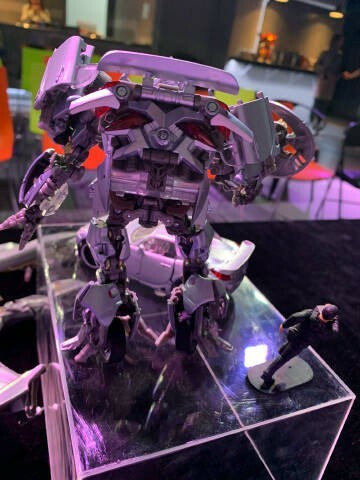 What we really need is a Studio Series Dino and Dotm Shockwave. Hope Jazz comes out good. 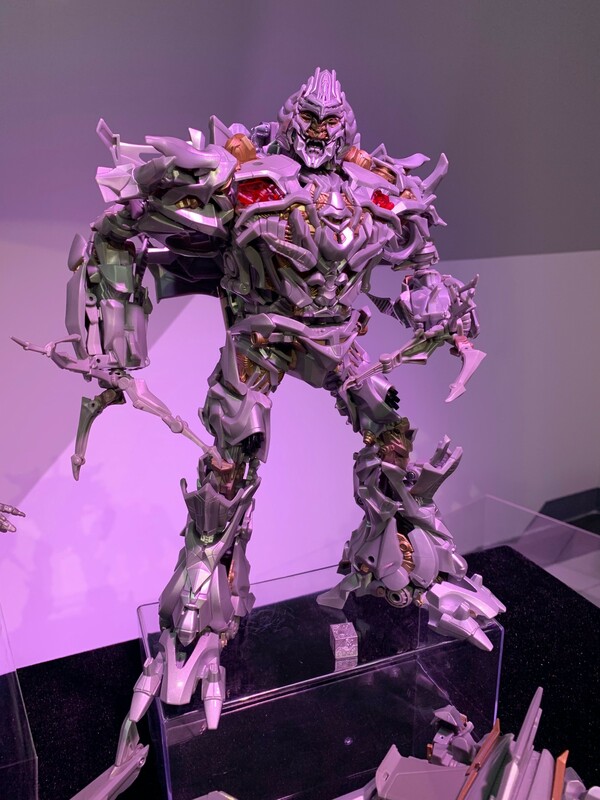 Megatron looks like Mega-crap like most of the other Bayverse Decepticons. I wouldn't want it if it was given to me for free. The masterpiece line needs to focus on making the new movie-verse figures instead of going back 10 years to make Bay's garbage-formers. Siger wrote: Hope Jazz comes out good. 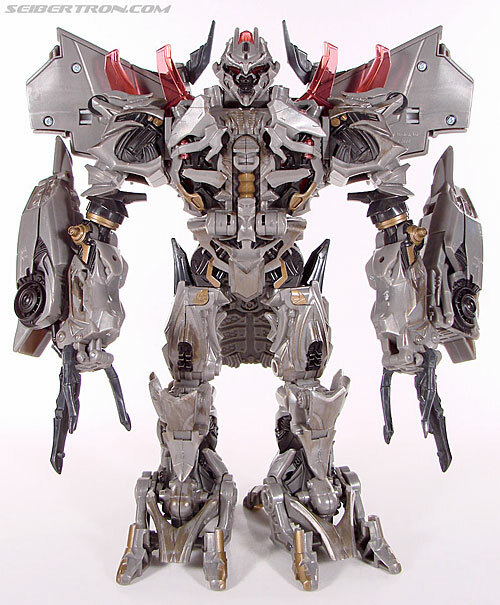 Megatron looks like Mega-crap like most of the other Bayverse Decepticons. I wouldn't want it if it was given to me for free. I disagree strongly. The original 13 from the movie need to be done in MPM form. We have 3 so far and 2 more on the way this year, so we are nearly halfway there. Yes the first Movie is iconic.If any of the live action series should have the whole cast in the masterpiece line,is the 2007 one. ZeldaTheSwordsman wrote: Oh, shaddap. IMO the only major aspect the movies are lacking is the Autobots providing disaster relief. I know it isn't canon, but at least the version of the characters in the first movie video game wouldn't be providing disaster relief. There's a mission where I think it's Jazz (it's an Autobot either way) is tasked with blowing up gas stations to provide a distraction. They weren't exactly concerned with civilian well being in that story. An MP movie Jazz is perfectly logical move for the Movie MP line. I think it has potential for being great looking figure. As a comparison we have Human Alliance Jazz. I think its a pretty decent figure, and would only really need some improvements with the forearms and the upper legs to bump him up to MP quality. As to MP Megs. He should be a walk in the park to do as an MP. His design doesn't really hide anything in his "jet" mode. And other that tucking away his legs a bit more there's really not much that needs to be done to bump it up to MP other than articulation and paint. I'm expecting something closer to the Best Buy exclusive in terms of color scheme. 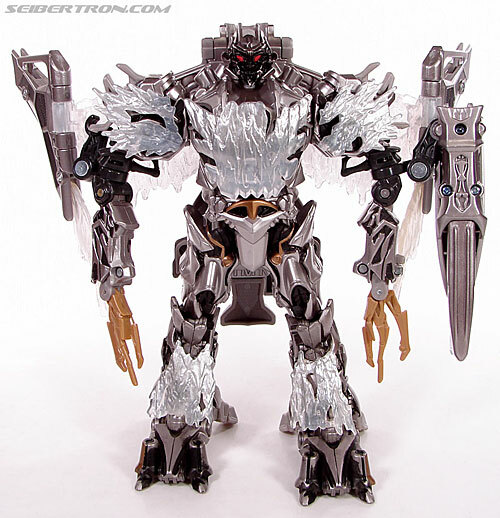 Or maybe the Premium Leader Premium Megatron for a darker tone. I would hope for an MP Movie 1 Megatron to include an accurate fusion cannon as well as his spear. It looks the rumors came through! 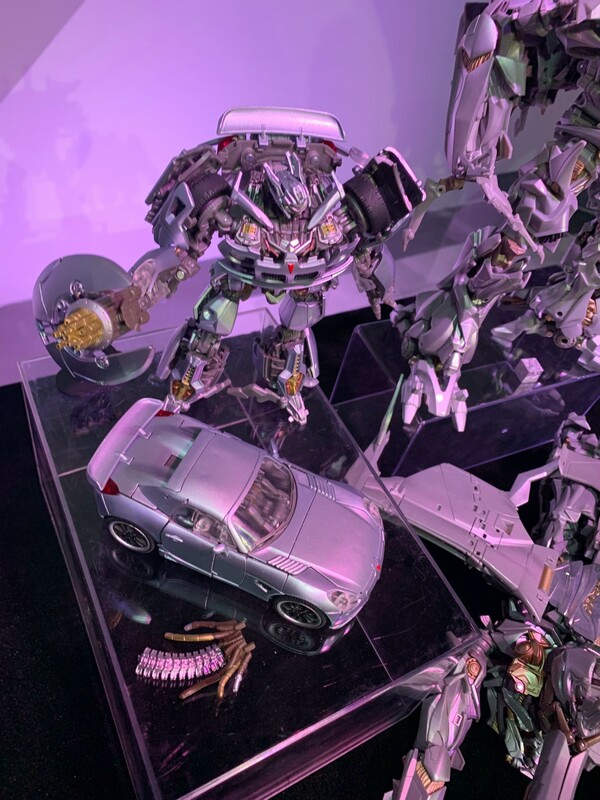 Yes, MPM-08 Megatron and MPM-09 Jazz's were revealed at the September 26th convention. Thanks to fellow Seibertron user, Plastic Hero for letting us know as well! 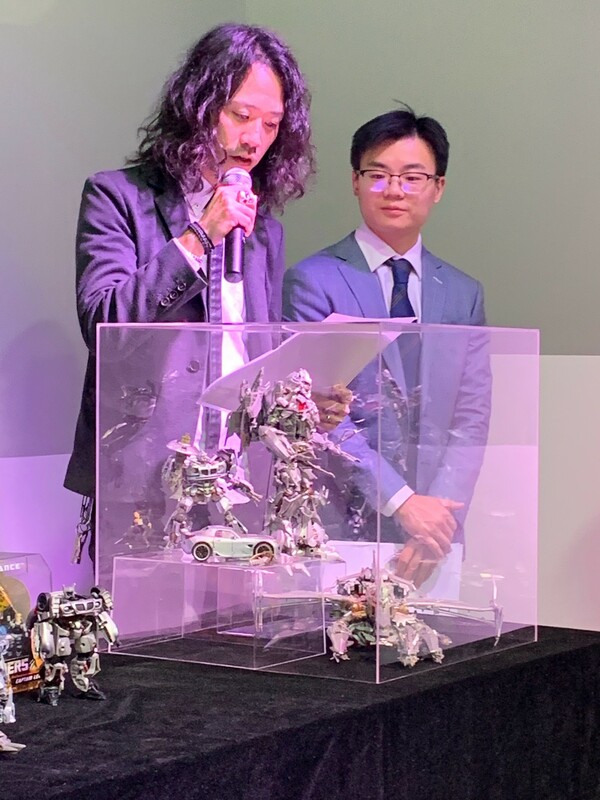 Here, from weibo users ToyPlus and IAMNOFIRE, we get two see many awesome pics of Masterpiece MPM Megatron and Jazz, including a video of when the presenters unveiled the display case. 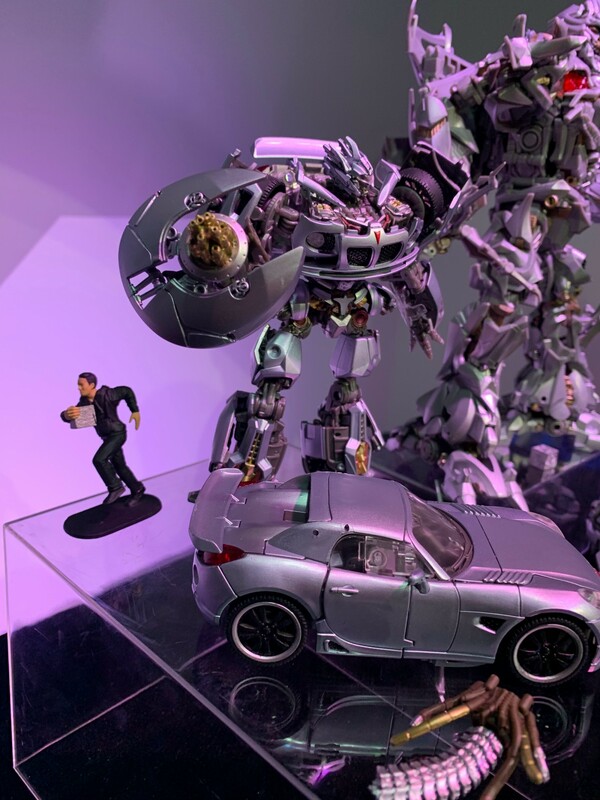 Jazz appears to include his shield gun, and a figure of Sam Witwicky running with the AllSpark. And... guts. Yes, he can be torn into two pieces. ...only to be held by Megatron, who can hold the two pieces. 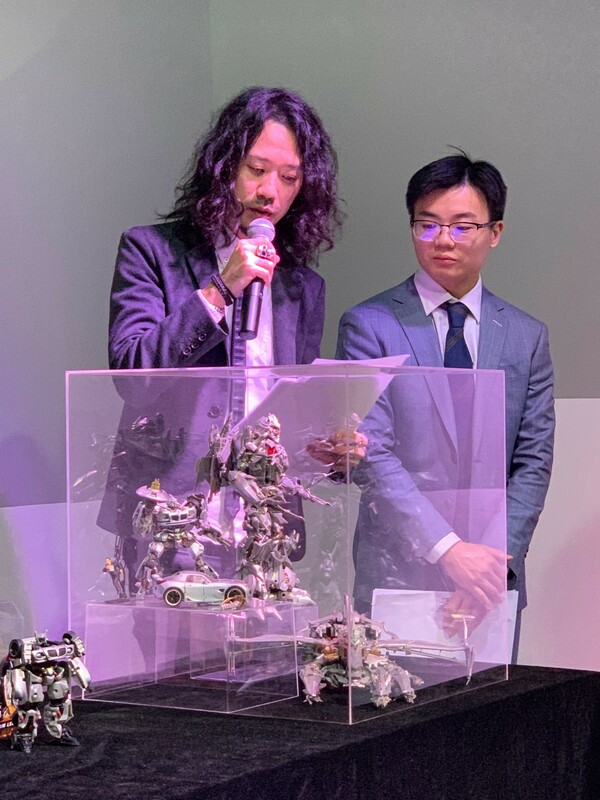 He also includes an AllSpark cube, as well as what appears to be an alternate arm, which most likely transforms into a blaster, or mace, with the included articulation chain. Both are very accurate, and you can check in the images below. Then, tell us your thoughts in the Pub forums! Oh my god... They look fantastic. Megatron looks great and Jazz just blows me away. 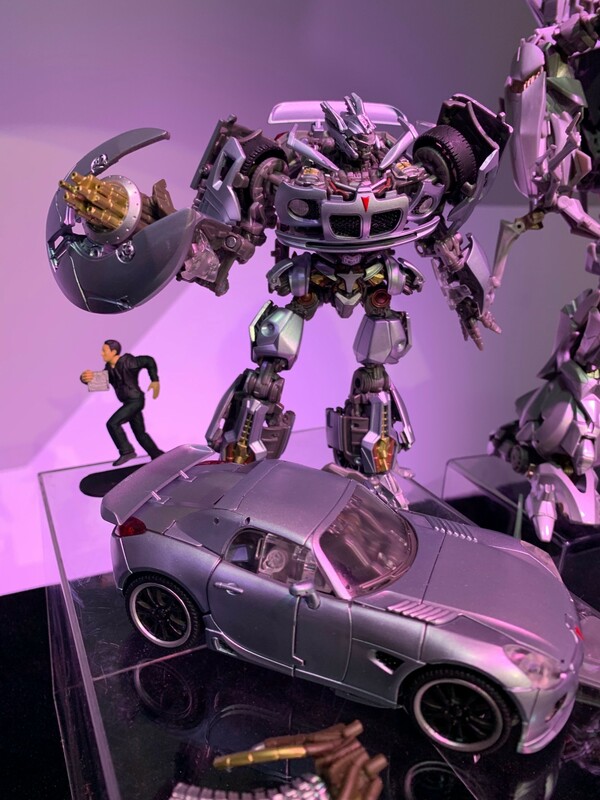 And the nice bonuses of Sam figurine and that Jazz can be 'torn' in two and held by Megatron (a grim bonus but people would keep on asking anyways). Really impressed by these. Now if only I was the kind of person who could afford MPM figures. 4,552 pages were recently viewed by 882 unique visitors. This page was viewed 1 times on Saturday, April 20th 2019 1:40am CDT. © 2019 Seibertron, Inc. DBA Seibertron.com. All Rights Reserved. Established June 2000. Seibertron.com is owned by Ryan Yzquierdo.